I love Teo and Febbraro’s (2002) pointed observation that “Psychology’s history can be studied as a history of fads” (p. 458). Teo (1996) has written that psychologists “have tended to value meta-theoretical constructions from outside their discipline more than those from inside their disciplines,” with the popularity of these constructions shifting as one or another current in philosophy achieves popularity. So psychologists who are readers of philosophy can sometimes feel as if we’re living through a lengthy philosophical hangover—as if we are groggily meandering through popularized, overly simplified versions of ideas brought forth and critiqued by philosophers decades ago. Of course philosophy is prey to the same faddism—in a laconic footnote to his book Italian Marxism (1983), Piccone remarks that “earlier in the century, discredited philosophical fads used to leave the continent for the greener pastures of the United States, where they would survive for another couple of decades” (p. 119). This strange afterlife of fads is what I mean by a hangover; my first experience of it was during the popularization of so-called Postmodernism that was rampant on American college campuses in the 1980’s. At that time, peers of mine with their dog-eared copy of Madness and Civilization or Writing and Difference breezily claimed to “deconstruct” any argument one attempted to make in something resembling a linear manner. At least, that’s how I remember those days. To be clear, my point isn’t that the philosophers termed “postmodern” weren’t and aren’t important. For example, I think Foucault’s brilliant work is critical for anyone concerned with grasping the social power of psychiatric diagnosis. So it’s not philosophy itself that is the problem. On the contrary, the problem as I see it is the superficialization of philosophical ideas and their too-casual incorporation into psychology. This is especially true for those of us who are qualitative researchers, because we already bear the stigma of our marginalization as non-measurers, and hence (for the mainstream), non-scientists. But the corollary to the problem of faddism in philosophy or psychology is our capacity to seek to prematurely transcend our elders’ ideas in order to assert ourselves. OK, this is a psychological interpretation! But I wonder whether the generations that followed Husserl sought to overturn his authority a bit too quickly, and without adequately understanding him? Regardless, it is undeniable that so much of Husserl’s work remained unpublished (in any language) at the time of his death, that the full picture of the work of the “late Husserl” is still emerging today. So the adequacy of readings of Husserl by distinguished philosophers such as Levinas, Ricoeur, Derrida, Lyotard, Foucault, and Gadamer is open to question. And for example, the “received view”—as Sebastian Luft (2011) describes it—of the value of Husserl’s work in relation to Heidegger’s must be challenged. In this “received view” nicely summarized by Luft, all that was of value in Husserl’s work was incorporated by and transcended by Heidegger. So far, I’ve set the stage to make the case that there’s much in Husserl that can be tremendously valuable for psychology envisioned as a human science. In particular, I want to emphasize the value of Husserl’s work for cultural psychology. Highlighting this for psychologists is important because the intrinsically intercultural dimensions of Husserl’s work, while emphasized by philosophers like J. N. Mohanty, has to my knowledge been largely neglected by psychologists. So what follows is an unsystematic introduction to some of the cultural themes in Husserl’s writings that bear directly on cultural psychology—to give a taste of what’s available, not a full exposition. Husserl referred to “the encompassing world of our immediate experience” as the “life-world” (Spiegelberg, 1965, p. 720). For Husserl, the life-world always implies intersubjectivity because it is intersubjectively constituted (Gurwitsch, 1966). Indeed, it can be said that this intersubjectivity is the ego’s opening to world as such (Khosrokhavar, 2001). For this reason, Husserl (1982) consistently used expressions such as “our” and “for us” when discussing perceptions or knowledge. Intersubjectivity is in its largest sense “the human race in its totality; in the narrower sense, a more or less confined socio-historical group” (Gurwitsch, 1966, p. 433). As Landgrebe (1981) commented, “The life-world is not only a world for me, the single individual; it is a common world, a world for a particular human community” (p. 132). Hence, life-worlds are intentional and shaped by the local “customs and habits of particular communities” (Landgrebe, 1981, p. 133). Furthermore, the life-world is “something that continuously grows and develops … something that carries the impress of the communal history” (Kockelmans, 1967/1978, p. 279). We begin to see the outlines of an approach to the study of shared cultural life. Turning explicitly to culture, Husserl (1973) wrote that in daily life, varied communities constitute “different surrounding worlds of culture” (p. 133). One’s “cultural world” is founded upon the life-world but “by no means reducible to it” (Carr, 1974, p. 195). And of course, in everyday life, the cultural world is lived within what he calls a natural attitude: Husserl observed that in the normal state of affairs, one tends to regard the objects of everyday experience in communal life such as physical objects, other people, and even implicitly theoretical conceptions as simply real and straightforwardly existent. Husserl (1982) termed this unreflective attitude or perspective, which is usually unrecognized as a perspective, the “natural attitude” (p. 5). A community’s shared cultural world reflects a type of natural attitude replete with unexamined values and narratives most often regarded as self-evidently real. Husserl’s late work was keenly concerned with the constitution of the intersubjective, cultural realm, and the way in which individual egos are shaped by and discover freedom within community. So, for example, Donohoe (2004) argued that Husserl’s later, genetic phenomenology offers “a method endowed with the flexibility to understand the cultural and historical fluctuations of meaning and the ever-changing relationship between the individual and its surrounding world” (p. 180). Turning specifically to the religious dimension, Hart (1994) observed that in his correspondence with Dilthey, Husserl asserted that the phenomenology of religion is “an empathic study of the inner life of religious persons and communities in terms of the various motivations and life-forms” in the attempt to explicate the “essential-ideal[s]” intended in a religious tradition (p. 267). The demanding, descriptive quality of phenomenology, its self-reflectiveness as an approach, keen interest in the other’s life-world, and the stance of ontological neutrality vis-à-vis the other’s experience make Husserlian phenomenology particularly well suited for use in cultural psychological studies. Mohanty (1992) wrote that Husserl’s phenomenology is distinguished by an “openness to phenomena, to the given qua given, to the intended meanings precisely as they are intended” (p. 8). This feature, Mohanty wrote, “Challenges you to face up to the task of understanding the other, the other culture…the other person” (p. 8). Mohanty (1994) indicated that Husserl’s discussion of culture undermines the notion of strict cultural otherness, writing that for Husserl “when this one-way track of ‘making sense’ of the native is overcome by the ‘mutuality’ of ‘making sense’ of each other, the foreignness is overcome. A common world, mutually shared, thereby begins to constitute itself” (p. 142). Importantly, “The idea of one world for all is constituted through such communication, and may serve as a norm for critiquing one’s home-world” (p. 144). So here we see phenomenology not only as a means of accessing the other’s world, but also of critiquing one’s own society—a project carried forward by Merleau-Ponty (see Coole’s Merleau-Ponty and Modern Politics After Anti-Humanism). Mohanty (1992) acutely points out that phenomenological research cannot properly be framed as “comparative” analysis. Rather, it is intended as a tool “for understanding the other’s point of view as a noematic structure” meant “to go behind it in order to lay bare the experiential phenomenon that is embodied in this structure” (p. 8). Turning to psychology, then, a phenomenological approach seeks to render the other’s account more fully intelligible as a possible experience by unearthing its implicit structure, while simultaneously bracketing ontological claims concerning that experience. As a result, Giorgi’s (1970) psychological adaptation of Husserl’s work is neither constrained to adopt the Platonizing universalism critiqued by the cultural psychologists nor the methodological relativism they sometimes advocate in its stead (Shweder & Bourne, 1991). One might even argue that phenomenologists, to the extent they are personally engaged by the problems of globalization, are intrinsically inter-cultural in their outlook. Carr, D. (1974). 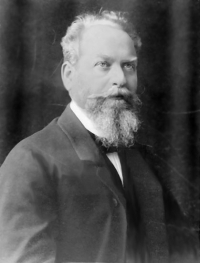 Phenomenology and the problem of history: A study of Husserl’s transcendental philosophy. Evanston, IL: Northwestern University Press. Donohoe, J. (2004). Husserl on ethics and intersubjectivity: From static to genetic phenomenology. Amherst, NY: Humanity Books. Gurwitsch, A. (1966). Studies in phenomenology and psychology. Evanston, IL: Northwestern University Press. Hart, J. (1994). The study of religion in Husserl’s writings. In M. Daniel & L. Embree (Eds. ), Phenomenology of the cultural disciplines (pp. 265-296). Boston: Kluwer. Husserl, E. (1982). Ideas pertaining to a pure phenomenology and to a phenomenological philosophy: First book, General introduction to a pure phenomenology (F. Kersten, Trans.). Boston, MA: Kluwer. Khosrokhavar, F. (2001). L’instance du sacre: Essay de foundation des sciences sociales. Paris, France: Les Editions du Cerf. Landgrebe, L. (1981). The phenomenology of Edmund Husserl: Six essays by Ludwig Landgrebe. Ithaca, NY: Cornell University Press. Piccone, P. (1983). Italian Marxism. Berkeley: University of California Press. Luft, S. (2011). Subjectivity and lifeworld in transcendental phenomenology. Evanston, IL: Northwestern University Press. Mohanty, J. N. (1992). Phenomenology and Indian philosophy: The concept of rationality. In D. P. Chattopadhyaya, L. Embree, & J. N. Mohanty (Eds. ), Phenomenology and Indian philosophy. New Delhi, India: Indian Council of Philosophical Research. Mohanty, J. N. (1994). The other culture. In M. Daniel & L. Embree (Eds. ), Phenomenology of the cultural disciplines (pp. 135-146). Boston: Kluwer. Shweder, R. A. & Bourne, E. J. (1991). Does the concept of the person vary cross-culturally? In R. A. Shweder (Ed. ), Thinking through cultures: Expeditions in cultural psychology (pp. 113-155). Cambridge, MA: Harvard University Press. Spiegelberg, H. (1965). The phenomenological movement: A historical introduction (2nd ed.). The Hague: Martinus Nijhoff. Teo, T. & Febbraro, A. R. (2002). Attribution errors in the postmodern landscape. American Psychologist, (57), 458-460. Teo, T. (1996). Practical reason in psychology: Postmodern discourse and a neo-modern alternative. In W. Tolman, F. Cherry, R. van Hezewijk, I. Lubek (Ed. ), Problems of theoretical psychology (pp. 280-290). Ontario, Canada: Captus Press. A version of this post previous appeared on PhenomenologyBlog.